Large, independent mountain ski resorts are having to decide whether to partner with Vail or Alterra or buck the trend, while small resorts must find ways to both bind together and fend for themselves. The sun was shining, and the snow was deep and fresh on a February afternoon this winter at Powder Mountain resort east of Ogden, Utah. Inside the resort’s rustic Timberline Lodge, I had taken a break from the slopes in order to speak with director of operations Shaun Mulreed about the trend toward consolidation in the U.S. ski industry and the direction Powder Mountain planned to take. Two weeks earlier, Snowbasin Resort, just 23 miles away, which is Powder Mountain’s closest competitor, had announced it was joining Vail Resorts’ Epic Pass. The move meant that of the eight large ski mountains within 60 miles of Salt Lake City, Powder Mountain would be the only one unaligned with the North American ski industry’s two megapasses: the Epic Pass and its much younger competitor the Ikon Pass, which Alterra Mountain Company debuted ahead of the 2018-19 season. The Epic and the Ikon are the equivalent of a season pass across multiple resorts; each gives the holder unlimited skiing at certain resorts plus a limited number of ski days at others. Each participating resort gets a percentage of the revenue based on pass usage at its mountain. Over ramen noodles inside the Timberline’s small Powder Keg bar, I asked Mulreed whether Powder Mountain, too, was interested in joining Epic or Ikon. His response was a resolute no. Noting the resort’s unusual business model, which includes capping both daily and season pass sales at 1,500 despite the enormous 8,400 acres of terrain that Powder Mountain has under patrol, Mulreed clearly relished what he described as the ski area’s status as a “unicorn” in the industry. Indeed, the introduction of the Ikon Pass and the continued growth of the Epic Pass have bifurcated the U.S. destination ski industry into two major alliances. Next season, Ikon is slated to feature 28 ski areas in the U.S. and five in Canada, including 13 that are either owned or managed by Alterra. The Epic Pass, founded in 2008, has 25 North American ski areas signed up for next season, including 18 in the U.S.
Vail Resorts owns 17 of those mountains. All told, of the 25 largest U.S. ski areas with the most lifts, 23 will be on one of those two passes next year, according to the industry blog Liftopia. Combined, Alterra and Vail own 13 of those resorts. In the face of the two behemoth passes, the remaining large, unaligned resorts find themselves having to decide whether to seek out a partnership with Vail or Alterra or buck the trend. Smaller mountains, meanwhile, don’t generally have the option of joining Epic or Ikon. But experts say they must find ever more creative ways to both bind together and fend for the themselves in order to compete in the quickly evolving U.S. ski industry. For most resorts that have the opportunity, joining the Epic or Ikon passes is proving to be the path of least resistance. “It’s not difficult to be independent from an ownership standpoint, but it is difficult to be independent from these two passes,” said Telluride CEO Bill Jensen, whose mountain joined the Epic Pass ahead of the 2018-19 ski season. Jensen said Telluride’s decision to join Epic has paid quick dividends. Before the season, he thought the combined economic benefit that the Epic Pass partnership would bring to the ski resort and the eponymous southwest Colorado town this year would be $5 million to $6 million. But by the end of February, Jensen had upped that estimate to between $8 million and $9 million. Being on one of the passes isn’t without its drawbacks, though. Notably, joining Epic or Ikon brings with it concerns about crowding out the local market, an issue to which Jensen alluded. In February, in fact, Colorado’s Arapahoe Basin announced it would drop the Epic Pass next season because of crowding in its parking areas and facility spaces. I also heard concerns about crowding expressed by a few regular Snowbasin skiers during a day on that mountain in February. Still, in an interview that same day, Snowbasin general manager Davy Ratchford asserted that joining Epic has been key to the resort realizing its ambition of grabbing a larger piece of Utah’s destination ski resort market. Though less than hour from Salt Lake City, Snowbasin is at a disadvantage in that market relative to ski areas such as Park City, Deer Valley and Snowbird, in part because it sits a bit apart from the main congregation of resorts around Park City and Cottonwood Canyon and also because it has no on-mountain lodging. Snowbasin, Ratchford said, is very successful regionally. But he said destination guests will help fill the mountain on Mondays through Thursdays, and they are also the demographic most likely to pay for additional services, such as lessons. “We don’t have a huge amount of destination guests, so our opportunity is to partner with Epic." “We don’t have a huge amount of destination guests, so our opportunity is to partner with Epic,” he said. Ratchford emphasized that Snowbasin’s owners, the Holding family, who also own Sun Valley Resort in Idaho as well as Sinclair Oil, have no interest in selling the mountain to Vail, which has been on a buying spree in recent years. To be sure, Epic and Ikon are far from the only passes available to skiers across the U.S. For example, the Mountain Collective, which was the closest thing Epic had to a major competitor prior to the introduction of Ikon, offers two free days annually at any of 10 large destinations, many of which overlap with Ikon. The Holding family, who also own Sun Valley Resort in Idaho have no interest in selling the mountain to Vail. Smaller ski areas have also banded together to create various passes, though many such products are tied to the purchase of a season pass at an individual mountain. For example, 19 small mountains from Alaska to Maine are part of the Freedom Pass alliance. Freedom Pass mountains offer three free days of skiing to the holders of a season pass from any of the alliance members. One example of a pass that hews closer to the Epic and Ikon model is the Peak Pass, which includes the 12 small Northeast and Midwest ski areas owned by Peak Resorts. Still, for many of the ski areas left out of the Epic and Ikon aggregation — which is to say the large majority of the 471 operating ski areas in the U.S. — the emergence of the pass duopoly has been game-changing. “It’s definitely impacting everybody in the industry,” said Aaron Brill, owner of Silverton Mountain, a small, southwestern Colorado ski area that caters to adventure-seeking, advanced skiers and snowboarders. One reason for the far-reaching impact of Epic and Ikon are their relatively inexpensive price points. Ikon passes for 2019-2020 are now on sale for $949, and Epic passes are on sale for $939. Both those prices are hundreds of dollars below what many individual mountain season passes cost just a few years ago. More restricted versions of each pass are also offered at significantly lower prices. Alterra, Ikon and the industry: A Q & A with Winter Park operations V.P. Winter Park is one of the ski resorts on Alterra Mountain Co.&apos;s Ikon Pass. Robert Silk caught up slopeside with the resort’s vice president of operations, C.A. Lane, to discuss how the Ikon Pass, Alterra and consolidation have impacted Winter Park and the ski industry. Nevertheless, many see the emergence of the megapasses as an opportunity for the unaligned resorts, especially if they sharpen their marketing message around differentiation. Despite Brill’s somewhat dour assessment, his Silverton Mountain, like Powder Mountain, is the type of place that surely has found its differentiator. The resort offers just one lift, but from there skiers can hike to thousands of acres of largely untouched terrain. Only 80 people each day are allowed on the mountain, not counting heli-skiers. Reinforcing Silverton’s messaging as a mountain for hard-core types is its logo, which depicts a skier falling head-over-foot down a mountain. There’s no unanimity among independent mountains, however, that the larger passes are peeling away customers. Red Lodge sits about three hours east of the closest destination ski area, Big Sky, which is owned by Michigan-based Boyne USA and is on the Ikon Pass. 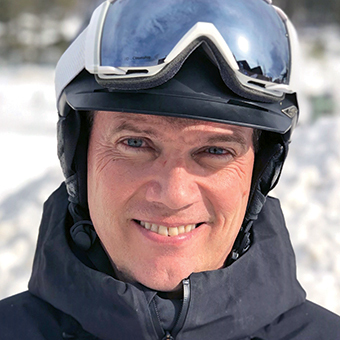 Meanwhile, Steve Clokey, vice president of marketing at Smugglers’ Notch Resort in Vermont, said he believes the emergence of the major pass duopoly has benefitted the entire U.S. ski industry. A good snow year has almost surely been a tailwind, but Clokey said he was pleased with his resort’s 12% year-over-year growth in season pass sales and 15% annualized jump in daily lift-ticket sales as of mid-February. 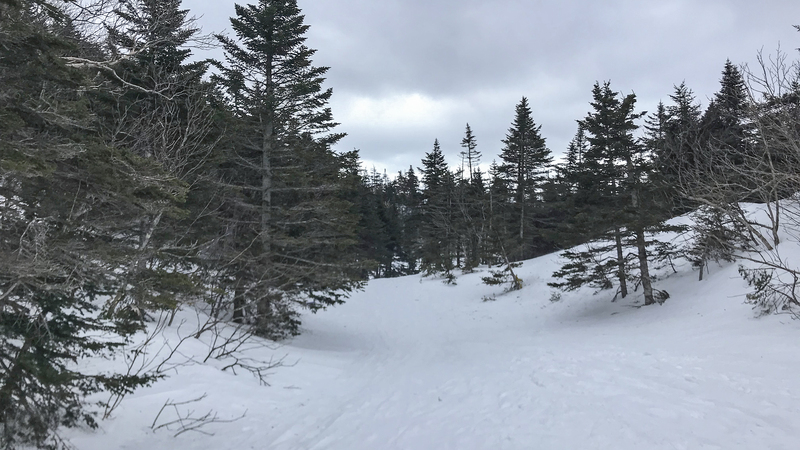 Clokey said that Smugglers’ Notch, where the Sterling lift literally brings skiers to within just a few hundred yards of the Vail-owned Stowe Resort, emphasizes its personal touch and family programming as points of differentiation. In Vermont, Smugglers&apos; Notch and Stowe are so close they practically touch. But the distance between them is great. At the still-smaller Plattekill Mountain, a family-owned operation that markets itself as “The best family skiing in the Catskills,” a primary challenge from consolidation comes from nearby Hunter Mountain, which was purchased by Peak Resorts in 2016. This year, Hunter added a high-speed, six-seat lift, which opened access to 80 acres of ski terrain. That’s the type of improvement Plattekill simply can’t afford, said co-owner Danielle Vajtay. Vajtays make the resort available for private rental for $4,500. On the February Thursday that I spoke with Vajtay, for example, a private party had taken over the mountain for a 60th birthday celebration. “It kind of goes with our whole offering of keeping it real,” Vajtay said. But while innovative business models and targeted marketing are key for today’s unaffiliated ski mountains, Oregon-based Doug Fish argues that those steps won’t be enough to take on the global marketing scale of the Epic and Ikon passes. That’s one reason Fish, the owner of a Portland-based Fish Marketing, decided to launch the Indy Pass, which will go on sale Sept. 1 for just $199. According to data from the National Ski Areas Association, the average U.S. skier and snowboarder hit the slopes fewer than six times during the 2017-18 season. Fish said the Indy Pass will appeal to people who plan to ski or snowboard six or fewer days next year. Many of those individuals don’t stand to benefit from purchasing an Epic or Ikon pass, nor would they be likely to buy a traditional season pass at a local mountain for a cost typically in excess of $400. Still, such skiers don’t want to have to pay for daily lift tickets that often exceed $100. “The idea around the Indy Pass is it will provide a pass for the consumer, but it also is going to create a marketing co-op to build a brand for the independent resorts of North America,” Fish said. By the second week of March, less than two months after he began marketing the pass to ski resorts, Fish had signed up 11 mountains in six western states and British Columbia. His goal, he said, is to sign up at least 25 independent ski areas spaced broadly across North America ahead of the 2019-20 ski season and to have 50 mountains on the pass the following year. Pass holders will be allowed to ski free twice at each participating resort.